We’d love your help. Let us know what’s wrong with this preview of Incendiary by Michael Cannell. Grand Central, Penn Station, Radio City Music Hall―for almost two decades, no place was safe from the man who signed his anonymous letters “FP” and left his lethal devic Long before the specter of terrorism haunted the public imagination, a serial bomber stalked the streets of 1950s New York. The race to catch him would give birth to a new science called criminal profiling. To ask other readers questions about Incendiary, please sign up. Over sixty years ago, the psychiatrist, Dr. James Arnold Brussel is one of the people credited with catching the “Mad Bomber” in NYC. This is the case that is handed down to people who are starting their careers as criminal profilers to study for their training. Former New York Times reporter and editor, Michael Cannell has written a great read about the manhunt for the bomber. The “Mad Bomber” set off his first bomb in 1940, over the course of 17 years he randomly set off thirty-two bombs and was finally was caught in 1957. In 1956 and 1957, he was the most active and he was causing New Yorkers to avoid public places. My family lived in NYC, eventually moving to California so I heard about this story initially from them. Department stores, transportation sites and movie theaters were to be avoided because at least fifteen people were already injured and anxiety was everywhere. According to the author, this was the time when the bomb squad and crime lab were being utilized more and more. In 1940, in NYC there had been an explosion at the World Fair that had killed two detectives and the bomb squad developed their procedures in dealing with bombs. The police wanted to keep the details of the Mad Bombers crimes very quiet at first but this changed over time and the Police Commissioner decided to publicize the bombings, after talking to Dr. Brussels and share the results of the criminal profile to the public. This caused a huge amount of fake bomb reports, as many as fifty a day, so the bomb squad was up and running 24 hours a day. In the 1950's crime was out of control in many cities including NYC, so the pressure was immense to solve this case in the police department. In the book, Doctor Brussel, an American psychiatrist, had a deep understanding of the criminal mind and created the first profiling case for law enforcement. This was not a time when police were inclined to talk to a psychiatrist but they were desperate. The NYPD has one of the best counter terrorism forces in the world now partially because of this case and of course 9-11. This was a personal cause bomber like Ted Kaczynski and Dr. Brussel felt it would be very difficult for the bomber not to claim his work in the media. He strongly suspected the bomber wanted his “genius” to be known. The author reports that soon a newspaper publisher of the “New York Journal American” was writing letters to the bomber and putting them on the front page. The bomber responded back to the newsroom. The police and newspaper became a team (literally the police had no clues at all) and showed Dr. Brussel all the evidence they did have (the bombs) to bring the bomber out. In the book, the author writes that Dr Brussel felt that the mad bomber was a single man with a Slavic background and with a history of workplace disputes. Furthermore he lives with a older female relative and then surprisingly told them when you catch him, he will be wearing a double breasted jacket. When the bomber was caught, he fit that description almost exactly. He is seen in old newspaper photos, very smug and grinning widely, after being arrested, with the anticipation of finally being able to tell his story and how brilliant he was pulling off his crimes. He was basking in the glory, parading around like a star as the flashbulbs were going off as if he was a hero and it was bone chilling. The real hero of course was Dr. James A. Brussel who kicked off a new way that law officers can be helped catching difficult criminals. Without giving away any more of the story, I will end my review here but I highly recommend this suspenseful and well-researched book especially if you are interested in true crime history. Comes with some photos. Hard to put down and lots of interesting details. Four stars. How much do you like to know about a book before you start it? The answer may tell you something significant, but not necessarily flattering, about yourself, like some kind of marshmallow test for the type of adults who feel about books like children feel about marshmallows. I consistently fail this marshmallow test for adults. For example, when reading William Gibson, I cannot sit by and wait for the author-created argot of the future to make itself clear by inference after repeated use, because How much do you like to know about a book before you start it? The answer may tell you something significant, but not necessarily flattering, about yourself, like some kind of marshmallow test for the type of adults who feel about books like children feel about marshmallows. I consistently fail this marshmallow test for adults. For example, when reading William Gibson, I cannot sit by and wait for the author-created argot of the future to make itself clear by inference after repeated use, because I feel that if what I desire is to be confused by my environment, all I need to do is walk out my front door. I read books to get away from that. Fortunately, Gibson is a big noise among the nerdy types who like that sort of thing, so you can count on spoiler-filled blog posts and the like to appear on the internet mere hours after Gibson's latest has been made public. Reading them can be just as rewarding as getting that marshmallow in your pie-hole immediately, before some stupid scientist (who has promised you two, yeah like I'm gonna believe that) tricks you and takes it away from you. In this case, some clever people apparently associated with Northwestern University Knight Lab made a very interesting interactive map of this events in this book. It is available through the “bit.ly” link on this book's Goodreads page as of this writing, and also here. It is an awesome map and fun to look at, but might ruin the book for some readers. Which type of reader are you? Have a marshmallow? The map made the book an easier read for me, which I didn't mind, because I was perfectly happy to know how certain important events in the book would transpire. If spoilers get your boxers in a bunch, avoid. But I was happy to have a clue about the timeline, because the book starts in 1956, then moves back to 1951, while referring to events as far back as 1908. It eventually gets up to the mad bomber's first attack in 1941 before returning to 1951 and assuming a generally more traditional timeline. The book has the things that make true crime stories fun, like the colossal turns of luck, both good and bad, which result in moments of fairly suspenseful storytelling. For example, man finds a live bomb attached to the New York Public Library payphone he is using. He continues flirting telephonically with his girlfriend while manhandling the bomb. He gets off the phone and, incredibly, carries the bomb through the library to his boss. The boss, a busy man, ignores him. The gravity of the situation begins to dawn on man with a live bomb in his hand. His next response is to panic and drop the bomb out a nearby window without regard to consequences. Fortunately it lands harmlessly in a bush, after which it finally occurs to someone to call the police. – The bomber is driven to his acts of public terror by ill-treatment by his former employer, who then covers up evidence that would help bring the bomber to justice, for fear of bad publicity. – A very important bit of information is discovered on a Friday night and then left to sit on somebody's desk until Monday morning. – The person who discovered the important bit of evidence above is denied reward money by the police, apparently because she was not a police officer. The reward money is distributed by the police to … other police. 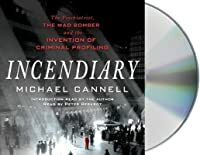 In Incendiary, author Michael Cannell takes a long, detailed, highly readable look at the Mad Bomber; the police who investigated the case; the psychiatrist who created such an accurate profile of the bomber that he appeared to be psychic; the newspapers that covered the bombings; and the bomber's dedicated defense lawyer. George Metesky was definitely mad, both in his mind and in his feelings for Consolidated Edison, the company he felt ruined his life. 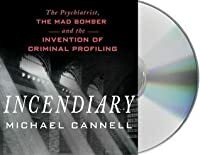 For 16 years, he planted bombs in various In Incendiary, author Michael Cannell takes a long, detailed, highly readable look at the Mad Bomber; the police who investigated the case; the psychiatrist who created such an accurate profile of the bomber that he appeared to be psychic; the newspapers that covered the bombings; and the bomber's dedicated defense lawyer. George Metesky was definitely mad, both in his mind and in his feelings for Consolidated Edison, the company he felt ruined his life. For 16 years, he planted bombs in various places in New York City to express his rage, as well as to show off his bombing skills. The NYC police did everything they could to try to catch him, but all they ended up doing was responding to calls about planted bombs that had exploded and those that had yet to explode. Since their old police methods were not working, something new was tried--they had a well-known psychiatrist create a "profile" for the bomber. James Brussel, the psychiatrist, did come up with an incredibly accurate profile, but that in itself did not uncover the mad man. What also greatly helped was Dr. Brussel's suggestion that the police make public much of what they guessed about the bomber, since he felt they were dealing with a man who wanted public attention, and would thus respond in a way that provided clues to his identity. That's where the newspapers came in, and the attention George Metesky received did indeed lead him to offer information that led to his capture. Moreover, a Con Ed clerk, going through old records, was able to find a complaint filed by him due to the fact she had read the newspaper articles on him. After Mr. Metesky was arrested, he was defended by James D.C. Murray, an attorney well-known for defending obviously guilty people. Mr. Murray was one of the most interesting characters in the story, because he was not some smarmy lawyer looking for fame or fortune. Instead, he was a man who believed that individuals often committed crimes due to poverty, or due to other injustices they were expected to live with. By the end of the book, one knows all about the Mad Bomber, and about all aspects of the case against him. One also can clearly see how the old ways the police did business often no longer worked, which was how the field of psychiatry penetrated the police department, often to the dismay of some policemen. Others, though, embraced the presence of psychiatrists, and felt they added a clearer picture of what was going on in the minds of criminals, hopefully providing a portrait of sorts to help lead to an arrest. Psychiatrists had been used as expert witnesses in court cases before the Mad Bomber case, however, so that was not really anything new. But this case did clearly demonstrate that judges, like policemen, had diverse views about how helpful psychiatrists actually happened to be. George Metesky was committed to an asylum . . . but not forever. I received this book from NetGalley in exchange for feedback and review. This book is great. Definite shades of Lawrence Wright. Cannell really expertly weaves the facts and reporting of the case of the Mad Bomber into an easy to follow narrative. I really appreciated how many perspectives you get: from the newspapers to the police to the profiling psychiatrist. I was attracted to this book because I didn't really know the story of the Mad Bomber, and this was about as comprehensive a look at him I received this book from NetGalley in exchange for feedback and review. I was attracted to this book because I didn't really know the story of the Mad Bomber, and this was about as comprehensive a look at him and the time period as I could have asked for. Solidly sourced and incredibly thorough. A couple years ago I read a book called Buda's Wagon: A Brief History of the Car Bomb . A major point made there was that a lot of the power of a bomb is not in the destruction, but in the noise. A bomb, especially in the period of time this book covers, acts as a microphone for bombers. This book does a really good job of fairly covering the grievances George Metesky was trying to amplify while placing them in the context of his psychology. INCENDIARY. (2017). Michael Cannell. ***. The revisit to the story of the “mad bomber” of the 1950s was OK. What ultimately led to my skimming of much of it was the author’s style. How would I best describe it? How about like a compendium of Batman and Robin adventures. The characters talked as if they had balloons over their heads. As an introduction to the art of criminal profiling, it was hokey. Dr. Brussel, the alleged inventor of profiling, would be amused to re-read his words as put down in INCENDIARY. (2017). Michael Cannell. ***. The revisit to the story of the “mad bomber” of the 1950s was OK. What ultimately led to my skimming of much of it was the author’s style. How would I best describe it? How about like a compendium of Batman and Robin adventures. The characters talked as if they had balloons over their heads. As an introduction to the art of criminal profiling, it was hokey. Dr. Brussel, the alleged inventor of profiling, would be amused to re-read his words as put down in this book. In all, the book was organized in a way that it followed the daily newspaper articles of the time – including all the jumping around you usually get with a hot news topic. I was in high school at the time most of this activity was happening. Me and my classmates followed the adventures of the bomber and talked about them during our lunch break. We all had our theories as to who the culprit might be. Some of us came pretty close to the conclusions of Brussel, as it turned out. We were not up to his standards however: we could not tell you what style of jacket he would be wearing while assembling his bombs. I think that the real story hidden in this book was the action taken by ConEd against the mad bomber that set him off in the first place. 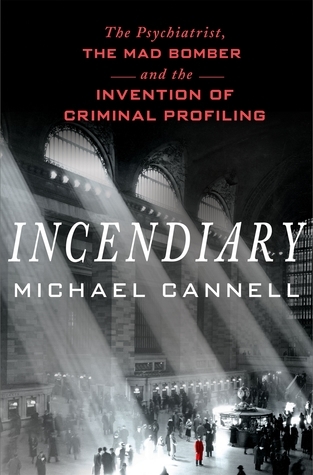 Michaell Cannell’s work Incendiary: The Psychiatrist, the Mad Bomber and the Invention of Criminal Profiling offers not only a turn paging thriller, explosive to the nerves and senses, but it gives the reader a comprehensive look into how forensic profiling began as a research tool in understanding the criminal, the act, and the apprehension. While crime writers will find this work both entertaining and fascinating, others who enjoy thrillers, mysteries, television show such as NCIS and Criminal Michaell Cannell’s work Incendiary: The Psychiatrist, the Mad Bomber and the Invention of Criminal Profiling offers not only a turn paging thriller, explosive to the nerves and senses, but it gives the reader a comprehensive look into how forensic profiling began as a research tool in understanding the criminal, the act, and the apprehension. While crime writers will find this work both entertaining and fascinating, others who enjoy thrillers, mysteries, television show such as NCIS and Criminal Minds will equally find they cannot put the book down. These days, with a steady flow of news and fiction, it would be easy to take the concept of criminal profiling for granted. Just how much a shame that would be is apparent within the first few chapters of Incendiary. Michael Cannell transports readers to Manhattan in the 1950s, where residents and police are increasingly concerned about a rash of bombs that have caused injuries and damage, but no deaths ... yet. Police gather and follow clues, but most often seem relegated to locating homemade pipe bombs and defusing them. The person making and placing the bombs has a concern and an agenda, and even circles back, placing follow-up bombs in some locales more than once. With no solution in sight, the department seeks the help of a psychiatrist, hoping his professional insight can help them focus their investigation and identify the bomber. And with this decision, the true-life game is afoot. Author Cannell delves into the history of the "mad bomber" case and brings to life an early foray into criminal profiling. Enriching the story is the equally true involvement of one of the city's newsrooms, at the sunset of the heyday of print journalism. It is evident that Cannell has done his homework, and equally apparent that his goal is to let the innate power of the story lead his readers along. He provides background as needed -- generally without straying too far afield. I appreciated his decision to enable several key members of the story share their thoughts and perceptions in their own words, without letting this device get either heavy-handed or too into the weeds. This book reminded me a lot of Erik Larson. It wasn’t a dual narrative, but it was about a killer and it was very engaging. I couldn’t put it down. The author did a great job focusing on the people involved in this story. He really brought them to life. He also gave just enough details about different people and places to create vivid images without bogging down the story. My one small complaint is that (like Erik Larson) he makes up a few scenes or thoughts only the murderer was aware of. Fortu This book reminded me a lot of Erik Larson. It wasn’t a dual narrative, but it was about a killer and it was very engaging. I couldn’t put it down. The author did a great job focusing on the people involved in this story. He really brought them to life. He also gave just enough details about different people and places to create vivid images without bogging down the story. My one small complaint is that (like Erik Larson) he makes up a few scenes or thoughts only the murderer was aware of. Fortunately, both are transparent about making things up, so this is a small gripe. However, I think both could have written engaging stories without making anything up, so I’d rather have done without it. Very interesting look at the Mad Bomber of New York. This is a part of history that I had no knowledge of, so it was quite intriguing. It's hard to imagine that there was a time when criminal profiling didn't exist, now that it's so commonplace! Content: This book does have some gory crime details (not a lot, but there were some parts that I totally could have done without). Fascinating look at the beginning of criminal profiling. Told through the story of the “Mad Bomber”, who terrorized New York through the 1940-1950’s. I had a hard time putting this one down! Schizophrenics follow their own logic. We just don’t understand it. How does one apprehend the wits of a madman? He looked unremarkable in every way, as if life had failed to make a distinguishing mark on him. He was content in the company of bombs, despite the harrowing possibilities. If anything, he was too brave. Incendiary power had not been his main goal. He was not trying to kill people, not yet anyway. He was simply trying to make a point. Instead of starting with a known personality and anticipating his behavior, as Langer had, maybe Dr. Brussel could start with the bomber’s behavior and deduce what sort of a person he might be... Dr. Brussel called it reverse psychology. Today we call it profiling. "The mind stores enormous amounts of data over the course of years, but not all this data is available to the conscious thinking process. Some of it lies just below the surface. It’s knowledge, but you aren’t consciously aware of it. Every now and then, however it makes itself felt: it produces a sudden and rather mysterious flash of knowing. A hunch. You don’t know where it came from and you aren’t sure you can trust it, but it is there in your mind, insistently demanding to be considered. What do you do with it? Throw it out, or use it? This is the choice you must make. In general, I use such intuitive flashes as long as they are consistent with other data I have on hand." Sometimes the difference between failure and success is a new thought. A house can hold a human presence forever. The difference lies in your interpretation of reality. Brains meant nothing without heart. Incendiary is the story of the search for the "Mad Bomber", a terrorist who eluded the New York City police for 16+ years. The bomber chose public spaces like theatres, libraries, and train stations through the City in the 1940s/1950s. This case was one of the very first where law enforcement teamed up with a psychiatrist to form a criminal profile, learning more about the man who terrorized the city and maimed dozens of people. I knew little of this case, and while the book and writing ventured Incendiary is the story of the search for the "Mad Bomber", a terrorist who eluded the New York City police for 16+ years. The bomber chose public spaces like theatres, libraries, and train stations through the City in the 1940s/1950s. I knew little of this case, and while the book and writing ventured into melodrama several times, it was a good story and one that changed the course of psychology and its application in society. Incendiary is a unique book that chronicles the Mad Bomber of New York and the various police, psychiatrists, journalists, and judges who ultimately brought his 16 year campaign of domestic bombings to an end. The book explores the story from the first bomb being set to the bomber's eventual demise in extreme detail. This is both the main fascination the book provides, and my chief complaint. Michael Cannell provides a level of depth and detail that goes beyond what most historical crime novels a Incendiary is a unique book that chronicles the Mad Bomber of New York and the various police, psychiatrists, journalists, and judges who ultimately brought his 16 year campaign of domestic bombings to an end. The book explores the story from the first bomb being set to the bomber's eventual demise in extreme detail. This is both the main fascination the book provides, and my chief complaint. Michael Cannell provides a level of depth and detail that goes beyond what most historical crime novels aspire to. Readers are fully immersed in the world of mid-century New York City. This is particularly valuable for helping readers better understand the context of various actions throughout the story, and helps explain how immigrant nationalities and regional identities shaped policing. Cannell takes his time to build rich and detailed images that are effective at bringing the reader back in time, and doing so without the excessive theatrics or melodrama that sometimes accompany historical visualization. Where he does venture into the theatrical, he supports his characterizations with observations from the time, which helps build his credibility as he chases the Mad Bomber. Despite the great egos of the many figures profiled, there's a certain humility and honesty that's well conveyed in Cannell's accounts; we see both his subjects outward strengths and their inward uncertainty about whether they are really solving the case. The interludes which share the bomber's perspective are well structured, and provide just enough depth to keep the story rolling without revealing the full truth to those unfamiliar with the case; I would gladly read another chapter or two of these! At the same time, I feel the detail at times is distracting and excessive. As the book progresses, it feels less like an exploration of how the application of psychiatric ideas to the mad bomber case led to the birth of profiling, and more like a series of chronologically ordered character studies of the (admittedly fascinating) people who interacted with the case over the decades. For example, early in the book, we're treated to a (view spoiler)[really neat history of the NYC Bomb Squad (hide spoiler)], which could make for an excellent book of it's own and seems at best tangentially related to the story of the bomber and the psychiatrist. I'm both delighted that the author chose to share this story, and somewhat disoriented at it's inclusion in the book. The disorientation is elevated some by the lack of consistency in how topics for detailed tangents are chosen; we learn a great deal about (view spoiler)[the press wars (hide spoiler)] and (view spoiler)[the history of the insanity defense (hide spoiler)], but are given only superficial nods to (view spoiler)[psychiatric terms and modern (non-freudian) interpretations (hide spoiler)] or (view spoiler)[the history of Matteawan (hide spoiler)]. A final, and admittedly petty complaint, is that the length of chapters is erratic - some come in at 7 or 8 pages, while others are just short of 40! This makes planning to sit down and read a quick chapter a risky gambit for the reader who can't marathon through the book. For a brief period of time when I was getting my psychology degree in college, I wanted to be a criminal profiler. I'm sure that I was mostly spurred on by the romanticism of the field thanks to THE SILENCE OF THE LAMBS and shows like CRIMINAL MINDS. Eventually I realized that psychology wasn't really for me as a career, but I'm still super intrigued by the concept of profiling and the psychology of criminals. So of COURSE I was interested in the book INCENDIARY by Michael Cannell, as it talks a For a brief period of time when I was getting my psychology degree in college, I wanted to be a criminal profiler. I'm sure that I was mostly spurred on by the romanticism of the field thanks to THE SILENCE OF THE LAMBS and shows like CRIMINAL MINDS. Eventually I realized that psychology wasn't really for me as a career, but I'm still super intrigued by the concept of profiling and the psychology of criminals. So of COURSE I was interested in the book INCENDIARY by Michael Cannell, as it talks about not only a mad bomber but also the beginning of criminal profiling. In the 1950s a number of bombings occurred in New York City. They struck public places, from movie houses to the World's Fair, and injured and killed a number of people. The police kept coming up short in their investigations, and consulted a psychologist named Dr. Brussel. Brussel used his skills and his intuition to predict the kind of person that was committing these bombings, which eventually helped lead to the arrest of a man named George Matesky. But the question of Matesky's sanity led to more questions after he was caught. Cannell did a lot of really good research to tell the story of Matesky and Brussel. I had no idea that this series of bombings happened, nor that it was as recent as the 1950s. The fears of Communist terrorism is something that never really occurred to me, but boy was this the time period for it. I do have to say that this book was a little dry at times, however, and I found myself skimming occasionally when we were covering some aspects of the man hunt. I really liked the stuff about Dr. Brussel and how he drew his conclusions, and I also liked the focus in the last third of the book about how the mentally ill were viewed in the eyes of the law, and the conditions that they had to live under when awaiting trial. I round 4.5 stars up to 5. As a testament to this book's depth (and my lack of an ability to remember things), I had read an article in the weeks previous to getting this audiobook, that was in hindsight probably a short article to market the book. The main (perhaps only) thing I remembered from that article was the use of a very quirky timing "device" in the bombs used. I spent many of the first hours of this book wondering if it was the same madman. Sure I was pretty clued into the likelihood i I round 4.5 stars up to 5. As a testament to this book's depth (and my lack of an ability to remember things), I had read an article in the weeks previous to getting this audiobook, that was in hindsight probably a short article to market the book. The main (perhaps only) thing I remembered from that article was the use of a very quirky timing "device" in the bombs used. I spent many of the first hours of this book wondering if it was the same madman. Sure I was pretty clued into the likelihood it was the same early on, as the target of the anger was Con Edison, but I was never quite 100%. For all I knew Con Edison attracted the mad bomber type heh. I bring that up only because I was so engrossed in the telling of the story as it developed-- and various the viewpoints from which the author told it -- that I didn't really care if it was the one I had read about. I was also pleasantly surprised when in the recounting of the story, (halfway...around when the threat of the bombings was negated) at a point where some books might have started to wind down; this story had a lot of gas in the tank still. Many more hours were spent deconstructing the legal path (and new trails blazed) taken by the perpetrator through the system of courts and mental hospitals. The retelling is handled very humanely and I felt a pathos for the mentally ill person whom terrorized so many people. This books does have a big aspect of who-dunnit/true crime. I however also think it has almost as equal a part of social commentary on the times, and particularly of said times in the NYC metropolis area. Also includes a moderate survey of the still seedling Freudian psychotheraphy pioneers, and the unfortunate victims of the rudimentary tools thereof -- more so in the later post-arrest story. None of this is a ding, but those expecting some archetype of "pure true crime" and done with it,... this book is meatier than that. Why has everyone forgotten about the Mad Bomber? He planted dozens and dozens of bombs all about New York City from the 1930s through the 1950s (although as a patriotic American--and a vet himself--he paused for WWII) from Grand Central Station to the New York Public Library to Radio City Music Hall. It's amazing how much of history is lost to the wind until an enterprising author puts pen to paper. This bomber was truly outwitting the NYPD, even though he made calls and sent notes about his bomb Why has everyone forgotten about the Mad Bomber? He planted dozens and dozens of bombs all about New York City from the 1930s through the 1950s (although as a patriotic American--and a vet himself--he paused for WWII) from Grand Central Station to the New York Public Library to Radio City Music Hall. It's amazing how much of history is lost to the wind until an enterprising author puts pen to paper. This bomber was truly outwitting the NYPD, even though he made calls and sent notes about his bombs (he didn't really want to hurt people.) It took absolutely forever to figure out who it was. Finally what did it was the lead detective going to a psychiatrist for a profile, which was so not done in those days that they didn't even have a word for it, and a tabloid newspaper reaching for a headline and trying to engage the bomber. The profiling didn't have as much impact on the case as the subtitle would have you believe, even though it was uncanny how accurate it was. But the newspaper's open letter that got a response, and the back-and-forth that finally lead the bomber to admit an important date when he was injured at Con Edison (he was clear from the beginning that ConEd was who he was mad at for an injury and their subsequent treatment of him.) That date allowed ConEd to find his file (even though earlier they'd sworn up and down to the police that they had no records going back to the 1930s), and put a name with the face. The most enjoyable way imaginable to learn about New York—and America—in the fifties. Meanwhile, you learn about history’s first serial bomber and the birth of the modern detective. This page-turning work of nonfiction would make a superb Hollywood movie if only it had more gore. Total beach-read stuff. Disclaimer: Michael Cannell is a friend. But I rarely rave about friends’ books as much as I’m raving to friends about this one. In Incendiary, author Michael Cannell manages to encapsulate a time period when police work was beginning to merge with science and was galvanized into further considering the psychological component of repeat offenders through the terror caused by one man. The Mad Bomber of New York, as the newspapers dubbed him, had set off over thirty bombs and his chilling choice of highly public venues like movie theaters and train stations added another level of terror. Signing any communications he made In Incendiary, author Michael Cannell manages to encapsulate a time period when police work was beginning to merge with science and was galvanized into further considering the psychological component of repeat offenders through the terror caused by one man. The Mad Bomber of New York, as the newspapers dubbed him, had set off over thirty bombs and his chilling choice of highly public venues like movie theaters and train stations added another level of terror. Signing any communications he made with the simple “F.P.” he claimed his complaint was with Con Edison Company and that until they were punished he would continue. In desperation, NYPD Captain Finney consulted Dr. James A. Brussel, whose experience with criminal mental patients was appealing. After studying the photographs of unexploded bombs, communications by F.P. and other evidence, Brussel came up with a profile that he believed likely to fit F.P. which proved to be almost entirely accurate right down to the clothes he wore. Cannell crafts a masterful story centered around F.P and Captain Finney with brief brilliant flashes into Brussel’s life all interwoven with the history and methods of the bomb squad. The genius of Incendiary however is that Cannell declines to tell the reader F.P.’s true identity causing the book to double as both a history of criminal profiling and investigation as well as a first-rate mystery that keeps the reader guessing. Incendiary follows the NYPD, which was evolving into one of the most advanced crime labs in the world, right at a time when the field of psychology began to insert itself into investigations. A fascinating history of criminal profiling and Dr. Brussel’s brilliant pioneering of the field as well as of the history of the Mad Bomber and the havoc he wreaked that reads like a detective story. Fun, informative reading that is impossible to put down. Michael Cannell’s “Incendiary” is a magnificent example of inexhaustible research spawning a great nonfiction book. His story of a psychotic bomber, an eccentric psychiatrist, and the genesis of modern profiling will linger in the reader’s mind long after the reading ends. The cites for his information are extensive. The Mad Bomber had successfully terrified NYC residents and baffled the city’s police force for almost twenty years. Pipe bombs had been secreted in venues such as Grand Central and Penn stations, Radio City Music Hall, movie theatres, and many more places heavily populated with people. At first the explosive power of the bombs was small and the injuries few. As the years progressed, however, the blasts grew in intensity and their locations were in more densely populated areas, causing increasing anxiety to the police and NYC citizens. In desperation, and with great uneasiness, police department supervisors were forced to consult with a city psychiatrist, Dr. James Brussel, who was an expert on the criminal mind, but lacking in “police mentality.” After examining evidence gathered over the years, he presented a detailed description of the bomber, even describing his manner of dress. Along with the help of a second-grade newspaper’s publisher, a scheme was developed to bring the criminal to light and, surprisingly, it led to the arrest of George Metesky, who admitted that he was indeed the bomber. Dr. Brussel’s assessment of his character and manner was right on. Cannell has included many characters in his book from the bomber, his sisters, police brass, bomb technicians, victims, acquaintances, neighbors, doctors, nurses, lawyers, social workers, judges and witnesses. He does it with clarity and accurate analysis of their roles. The author also brilliantly describes the courtroom drama, hospital treatment of the insane, and legal maneuverings that led to years of confinement for Metesky. The epilogue goes into more studies of various serial criminals, as well as explains the evolution of modern profiling, an interesting sidebar that appeals to the curious. I know people love this book, but I just couldn't get into it. It's a decidedly old white dude story & I couldn't relate. Michael Cannell is the author of three non-fiction books: "Incendiary: The Psychiatrist, the Mad Bomber and the Invention of Criminal Profiling"; "The Limit: Life and Death on the 1961 Grand Prix Circuit" and "I.M Pei: Mandarin of Modernism." Michael edited the House & Home section of The New York Times for seven years. He has contributed to The New Yorker, Newsweek, Sports Illustrated and man Michael Cannell is the author of three non-fiction books: "Incendiary: The Psychiatrist, the Mad Bomber and the Invention of Criminal Profiling"; "The Limit: Life and Death on the 1961 Grand Prix Circuit" and "I.M Pei: Mandarin of Modernism." Michael edited the House & Home section of The New York Times for seven years. He has contributed to The New Yorker, Newsweek, Sports Illustrated and many other publications. He is a graduate of Princeton and the Columbia University Schoo of Journalism.